Get the Score for MOUNTAIN LAKES @ DELBARTON on 4/28 on LAXTOPIA ! id372269568?mt=8Get the FREE app ..LAXTOPIA for the iPHONE and get all the scores. Check out MOUNTAIN LAKES @ DELBARTON on 4/28 as these age old RIVALS square off. CLICK ON LINK ! id372269568?mt=8 Get the FREE app ..LAXTOPIA for the iPHONE and get all the scores. Check out MOUNTAIN LAKES @ DELBARTON on 4/28 as these age old RIVALS square off. CLICK ON LINK ! Comments Off on Get the Score for MOUNTAIN LAKES @ DELBARTON on 4/28 on LAXTOPIA ! Don Bosco Prep edges Mountain Lakes in overtime, 7-6..
Big High School game today with the LAKERS of Mountain Lakes just off a loss to RIDGEWOOD at Mike Springer’s Don Bosco Ironmen who are ( 7-1)…Should be a good test for both teams… Put the scores , ground balls, pictures, etc all on the FREE APP..LAXTOPIA ! What are your predictions ? LAXTOPIA’S pick DON BOSCO 9- Mountain Lakes 8. FOLLOW THE GAME… SCORE BY SCORE. GROUND BALL BY GROUND BALL, etc Send pictures and videos ! 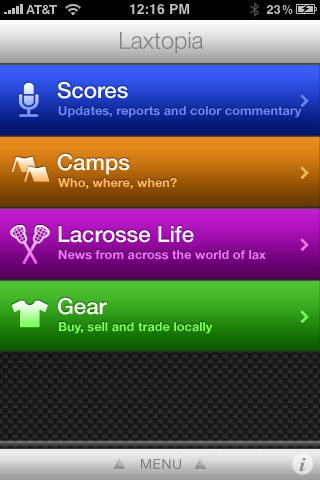 ALL on the best mobile lacrosse APP in the world…LAXTOPIA. All for iPhones,iPads, and all Apple products. Note:Big game for the MAROONS of Ridgewood ( 4-1). Under Coach Mike Pounds the Maroons have never beaten Mountain Lakes but the Ridgewood team in loaded with Garcia Logan, Dylan Logan, Tripp Telesco, Van Jorgensen , Andrew Toner, Ryan Ghaderi, and much more. The LAKERS are 5-0 and loaded also…This is a state marquee matchup ! At Ridgewood 1 PM Great lax !